Global Supply Line (GSL) has been operating as a primary supplier of actuated valve packages for over 20 years, establishing itself as a leader in providing quality products and premium service levels in quick delivery. Now stocking Actreg, Bettis and Biffi (Emerson) scotch yoke actuators to 33,000NM! Global Supply Line engineers can size the valve you require, then our automation facility can fit actuators and accessories and undertake torque testing and hydrostatic and pneumatic testing all in-house. 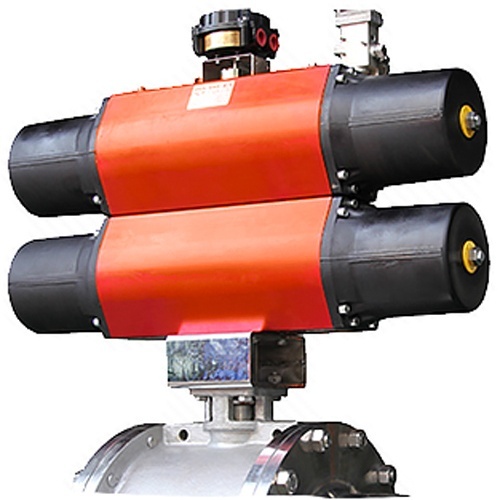 After assembly each actuated valve is subjected to: function/ stroke test, travel stops are adjusted, open & close speed timing is verified, testing of solenoid valve to ensure functionality, and finally a limit switch check for position accuracy leak test of instrumentation and piping. Our own large stocks combined with our stockist & short delivery manufacturing supply base enables us to provide all requirements from standard on-off valves to bespoke valve/actuator packages. We can provide tailored procurement solutions ranging from one-off’s to large scale projects. Our independence and knowledge of the market allows us to advise and source the most suitable package based on commercial, delivery & technical considerations. 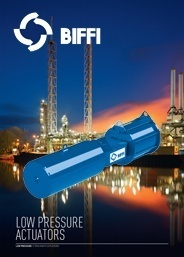 We stock Biffi (Emerson), Bettis and Actreg scotch yoke pneumatic actuators up to 30,000 NM. Our Adelaide engineering facility is approved to supply, fit and test Biffi, Bettis and Actreg. Click Here for more information on CVS. Temperature, seat type and numerous other factors are also analysed and entered into actuator sizing software. We will analyse process fluid type, required operating speed, fail safe requirements, area classification, temperature and environment. Finally we will discuss with you ease of field use, maintenance, brand options, gear over-rides, positioners, solenoids etc. to come up with a valve actuation package that ensures the best balance of reliability, ease of maintenance and cost effectiveness. 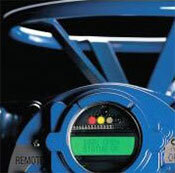 In-house torque testing capability provides assurance of correct sizing. 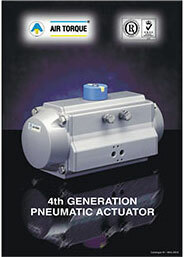 Pneumatic actuators are available in spring return and double acting in 90º and 180º operation. 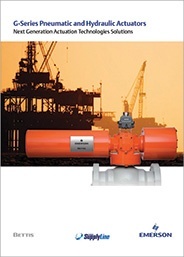 Pneumatic actuation is inherently safe, simple, maintenance free and cost effective. 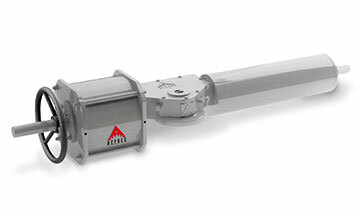 Furthermore pneumatic actuators are mass produced and there is ready availability of options such as:- spring packs for fail-safe systems, pneumatic or electro-pneumatic positioners for modulating control as well as control accessories such as limit switches for accurate process monitoring. 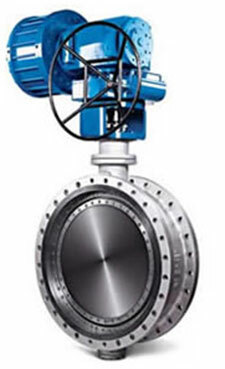 Actuated ball, plug and butterfly valves require maximum torque delivery at the breakaway point (break to open). 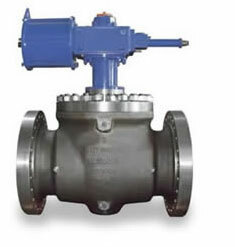 This is especially important for safety shutdown ball valves which are infrequently operated resulting in increased torque requirements to break open the valve. Depending on the factors mentioned above in the “actuation selection process” section, the required safety factor can be over 100%. 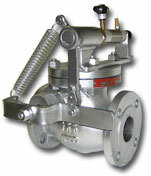 Scotch-yoke actuators are ideal as they use leverage to vary the relationship between the piston force and the drive point providing maximum torque at the beginning and the end of the 90º rotation which correlates with the torque curve need for most quarter turn valves like ball & high performance butterfly valves. 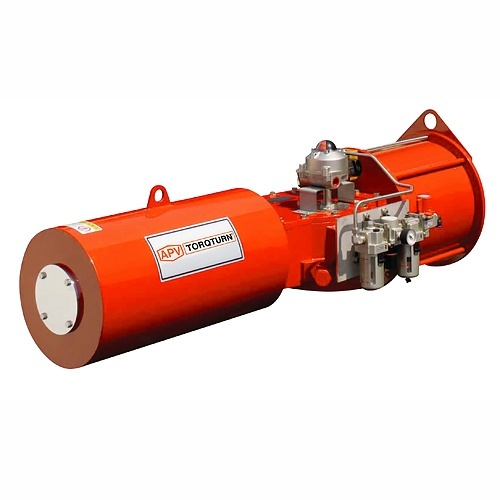 Furthermore, being steel case and heavy duty design they are much more rugged, reliable and dependable for critical shutdown applications and are available in much larger torque ranges. 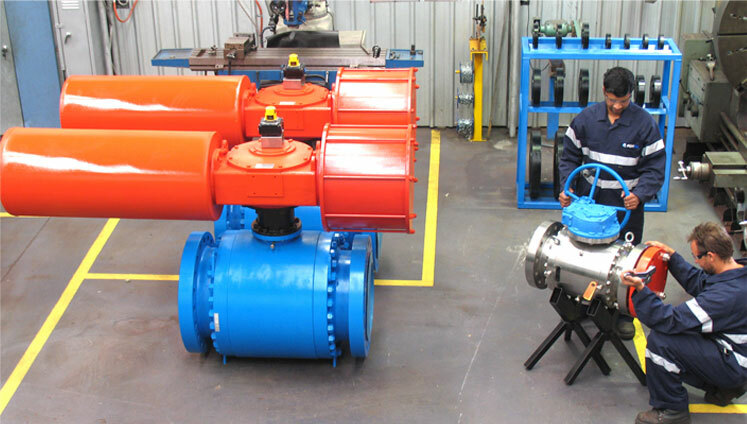 Through our own stocks as well as other Australian & overseas partner actuator and accessory suppliers, we can supply actuated valves in a quick turnaround. 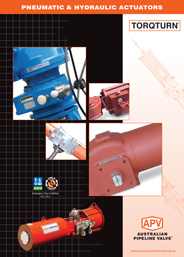 Global Supply Line supplies and stocks both rack & pinion (Air Torque – Italy) and scotch yoke (APV-Torqturn, Actreg, Sferova and Air Torque) pneumatic and hydraulic actuators for quarter turn valve automation. If preferred we can also supply Bettis, Rotork or Biffi. We also stock a full range of Italian made 316SS ISO brackets and adaptors. 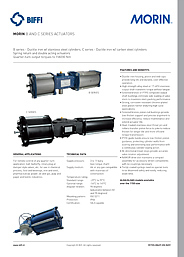 Electric actuators are compact and efficient and are used where air and hydraulic supply is not available. They are generally only for on-off service, not fail-safe service. Electric actuators are available in isolating, regulating and modulating and can be supplied in 3 phase as well as single-phase AC and DC. 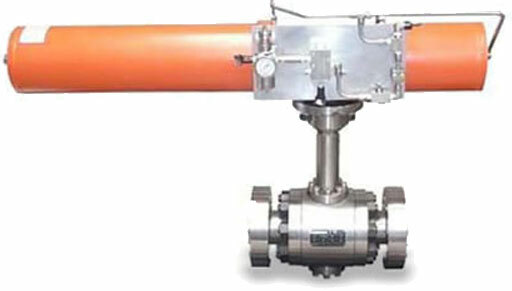 Hydraulic actuators are suited to operating 90º turn valves such as ball, plug and butterfly valves. Linear piston style is also available for gate and globe valves. 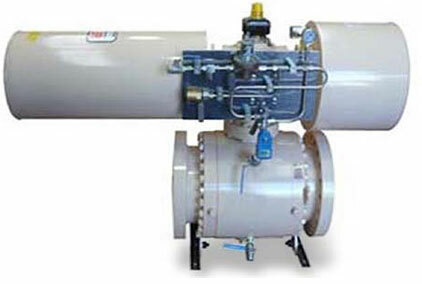 Double-acting and fail-safe spring return styles are available, utilizing hydraulic oil up to 35,000 kPa. Hydraulic actuators are generally used when very high torque is required to operate larger valves or where pneumatic or electric supply sources are not available. A major advantage (especially for off-shore rigs etc) is the size and weight of hydraulic actuators is much smaller. Motor-operated actuators are can be supplied and are intended for rising stem valves such as gate and globe valves for on and offshore applications. Multi-turn electric actuators are specified by evaluating torque, stem size, stem thrust and stroking speed as well as voltage and frequency. The force required to operate the valve under specified service conditions in terms of torque and thrust is analyzed by using actuator manufacturers software. 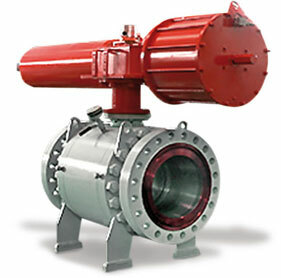 Three phase motors are recommended for larger valve applications. Facilities for local, remote and manual over-ride operation are generally standard. Global Supply Line Engineering are the approved Starline, Air Torque, Australian Pipeline Valve, Torqturn, Diamond Gear, JC, Sferova and CVS Service & Automation Centre for Australia, New Zealand and Papua New Guinea.Click on logos above to view approval letters. 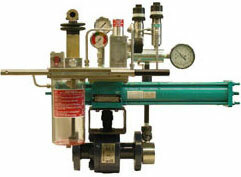 Hydraulic heavy duty scotch yoke ¼ turn spring return (*Bettis® E Series style copy) 14 bar to 140 bar operating pressure. Click on catalogue above & below to view. *Bettis® is a registered trademark of Emerson Process Management and is not associated or affiliated with CVS Controls Ltd in any way.